Harvest Caye Belize Cruise Port - New NCL Cruise Destination! Harvest Caye Belize Cruise Port – New NCL Cruise Destination! Norwegian Cruise Line has started the process of adding another port destination to its itineraries for Western Caribbean cruises – Harvest Caye Belize. And, while NCL and other major lines already visit the country of Belize over and over again throughout the busy season, they are banking on the beauty and seclusion of the Cayes to ensure visitors get a unique experience and a chance to experience the incredible biodiversity that can be found in the area. However, the Harvest Caye Belize project has already stirred up some controversy, leading travelers already anxious for the 2015 / 2016 season that the port is set to open concerned and confused. Although still in development, NCL has quelled the fears of anxious travelers and ensured that they will be dedicated to conservation in the areas surrounding Harvest Caye Belize. 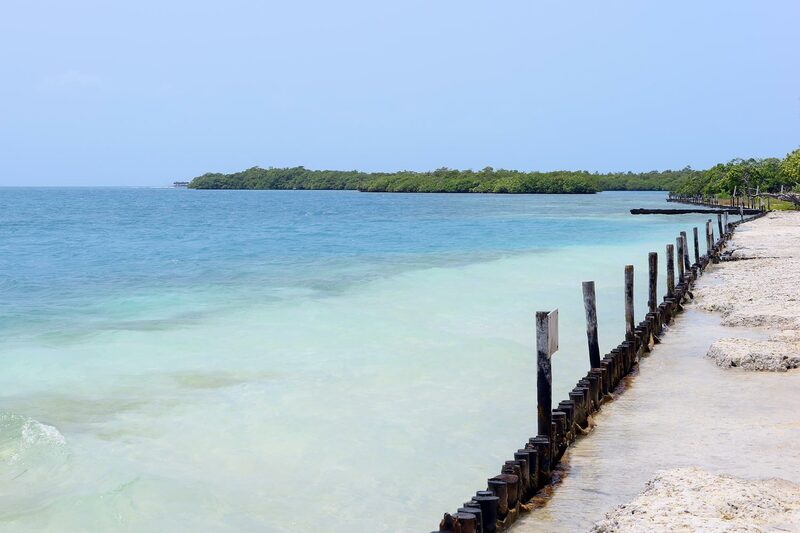 One of the biggest allures to the Cayes themselves is that they are an ideal residence for a great abundance of colorful sea life, which draws in guests looking for snorkeling and scuba diving activities that offer a chance of up close and personal interaction. Of course, eco tourism that prompted NCL to decide on Harvest Caye Belize in the first place, following the country’s rejection of a similar proposal at another nearby Caye. But, these eco tours combined with an obvious increase in motorized water traffic and the potential for pollution from all the visiting guests have locals in Belize concerned about the safety and quality of living conditions for the animals that make their home in the lagoon that stretches from the mainland to the Caye. However, Norwegian has worked very hard to reassure the people of Belize that their primary goal for their guests is an oasis in which to enjoy local ecology and biodiversity, and hence they would have no reason to not treat the entire area with great respect and an unwavering dedication to conservation. There is another concern that residents of the mainland have with regards the development of Harvest Caye Belize, and that is how much it could detract from the tourism industry that Belize City benefits from due to the hundreds of cruise ships that come into port there each year. The cruise line has committed themselves to keeping tourism alive and well in the coastline laden country, and points to the benefits that developing another Belize port for Western Caribbean cruises can provide. The Prime Minister has explained that nearly ten ships a week from the cruise ship industry has led to peaks of overcrowding in Belize City and adding additional places to port can reduce this unwanted strain on local resources. The plan for Harvest Caye Belize includes taking advantage of scenery and surroundings that the seventy five purchased acres of adjoining cays will provide. The project is estimated to cost fifty million dollars or more and take around two years to complete. Guests coming in on cruise to Belize porting at Harvest Caye should expect a wealth of available activities all set in a tropical paradise. Typical offerings available at most ports will also be found for guests stopping at Harvest Caye Belize. Scuba diving and snorkeling are likely to be available and an island village will exist to provide eating, drinking and shopping opportunities. A beach will no doubt occupy the bulk of weary travelers’ time here, and a lagoon nearby will provide the perfect spot for an abundance of watersports. Norwegian is banking on the success of its new port in Harvest Caye Belize and making a huge investment in order to make sure it is going to be a great success. However, the cruise line does intend to make the mainland accessible, with transportation hubs available to make to and from journeys to the mainland quick and easy. No doubt that guests aboard family cruises or those traveling with small children will find the Caye well suited and packed with most desired amenities. However, those wishing to see the Mayan ruins or trek through the jungle will have to hitch a ride over to the main coastline. Plans to develop the cays off the southern coast of Belize are met with mixed feelings by travelers and tourists alike; however, Norwegian’s plans to turn Harvest Caye Belize into a fun and friendly tropical environment where guests can experience the incredible offerings of Belize is sure to make a splash for cruise ship passengers in the coming years.